The official numbers are in for UFC 160, and according to the Nevada State Athletic Commission (NSAC), the world’s largest mixed martial arts promotion pulled in a great haul for perhaps its most entertaining pay-per-view (PPV) event of the year to date. The bigger they are, the bigger the box office draw. UFC 160, which took place at MGM Grand Garden Arena in Las Vegas, Nevada, on May 25, 2013, tallied a live gate of $2,942,365 million, according to official figures from the Nevada State Athletic Commission (NSAC) released today. The final attendance of 12,380 was the result of 10,075 tickets sold and 2,305 complimentary tickets, while 1,403 seats remained empty. UFC 160’s main event featured a Heavyweight rematch between Cain Velasquez and Antonio Silva, which ended in the first round like their first encounter with “Brown Pride” drilling “Bigfoot” with a right cross that floored the Brazilian and lead to a ground-and-pound finish. One that Silva claimed was illegal based on this photo evidence. 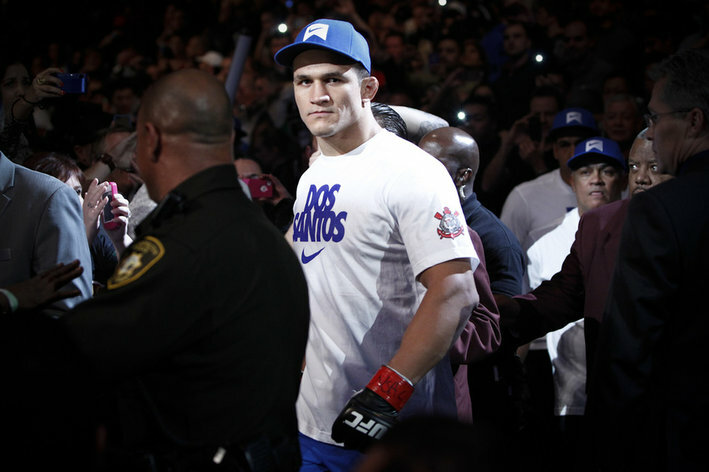 Meanwhile, in the co-main event Junior dos Santos earned himself another crack at Velasquez’s crown by knocking out Mark Hunt late in the third round in their “Fight of the Night”-winning performance. It was an amazing stoppage, but one that Mike Tyson of all people did not think was the best of the evening … so it officially wasn’t. The other three pay-per-view (PPV) main card bouts saw Glover Teixeira submit James Te Huna in short order, T.J. Grant earn a Lightweight title shot with a knockout victory over Gray Maynard (more here), and Donald Cerrone bloody and batter K.J. Noons en route to a decision win. UFC 160: Where is it Doc? Are you hungry for some UFC knowledge? Good, because MMAmania.com has you covered with 25 facts about UFC 160, which is scheduled for this Saturday night (May 25, 2013) from the MGM Grand Garden Arena in Las Vegas, Nevada. The Ultimate Fighting Championship (UFC) returns to pay-per-view (PPV) for the fifth time this year on Saturday night (May 25, 2013) as UFC 160: “Velasquez vs. Bigfoot 2” goes down from the MGM Grand Garden Arena in Las Vegas, Nevada. 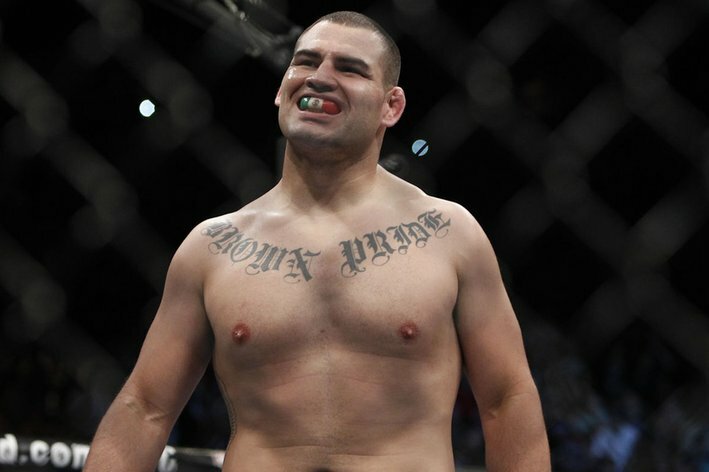 Throughout the history of UFC title bouts, the champion has been the more successful fighter going into a rematch with a previous opponent, and in the UFC 160 main event heavyweight champion Cain Velasquez will attempt to continue that trend by defeating Antonio Silva for the second time in a 365-day span. 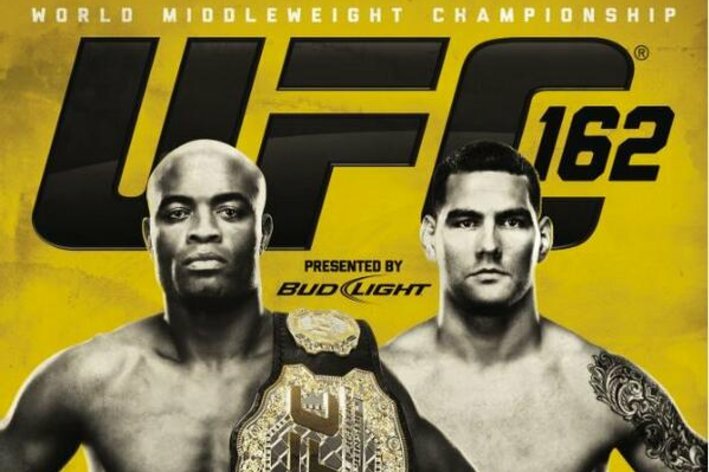 With the event just days away and lots on the line for all 24 fighters set to compete on the card, let’s take a few minutes to review some event-related facts about UFC 160. Eight of the 10 main card fighters are ranked in the top-10 of their respective weight class, according to the official UFC rankings. Velasquez has successfully completed 27 takedowns in his 10-fight UFC career — the most of any heavyweight in UFC history. Silva’s last six fights have ended by (technical) knockout. Dos Santos’ nine knockdowns are the most of any heavyweight in UFC history. Hunt’s four-fight UFC win-streak is the longest of any active fighter in the heavyweight division. The winner of Gray Maynard vs. T.J. Grant will become the No. 1 contender to Ben Henderson’s lightweight title. Grant’s four-fight UFC win-streak is tied with Rafael dos Anjos for second longest in the lightweight division behind champion Henderson. Grant is 4-0 since dropping to 155-pounds. Maynard has the second highest takedown defense accuracy in UFC lightweight history at 86.4%. Gleison Tibau leads the category at 93%. Of a combined 36 MMA victories, Glover Teixeira and James Te Huna have defeated 30 opponents by (technical) knockout or submission. K.J. Noons makes his UFC debut against No. 5 ranked Donald Cerrone on the heels of four losses in his past five fights. Cerrone and/or his opponent have won a post-fight bonus in six of his last eight bouts. Velasquez is one of five two-time champions in UFC history along with Randy Couture, Tim Sylvia, Matt Hughes and Georges St. Pierre. Dos Santos will earn a heavyweight title shot with a win over Mark Hunt. Khabib Nurmagomedov’s 19-fight MMA win streak is one behind interim 135-pound champion Renan Barao for the longest win-streak of any current UFC fighter. Teixeira, who is also on the card, has an 18-fight MMA win-streak, which ranks third among active UFC fighters. Mike Pyle, 37, is the oldest active fighter in the UFC welterweight division. Max Holloway, 21, is the youngest active fighter on the UFC roster. He will compete in his fifth UFC bout in a span of one year, three months and 22 days. Velasquez and dos Santos have fought their last four bouts on the same card. Hunt’s 85% takedown defense accuracy in the UFC is second in heavyweight history behind Andre Arlovksi (89.5%). Dos Santos ranks sixth in the category at 74%. Robert Whittaker vs. Colton Smith is the seventh fight in UFC history between winners of The Ultimate Fighter (TUF) reality show. No. 8 ranked bantamweight Brian Bowles competes for the first time since a submission loss to Urijah Faber at UFC 139 on Nov. 2011. The longest layoff of his 12-fight career. George Roop is one of three fighters in UFC history (Diego Sanchez, Kenny Florian) to earn victories in three different weight classes (155, 145, 135). Eight of Maynard’s nine UFC wins have come by some form of decision. He has not finished an opponent since a knock out Joe Veres in Sept. 2007 — a span of 2076 days (five-plus years) and 10 fights. Pyle has five career (technical) knockout victories, three of which came in his last three fights. Jeremy Stephens, who makes his featherweight debut, enters the event on a career-worst three-fight losing streak and is coming off the first knockout loss of his 29-fight professional career. Velasquez has the second most total strikes landed in UFC heavyweight history at 965. Cheick Kongo leads the category with 1025 total strikes landed. That’s a wrap for this set of UFC facts. Did you learn anything new/interesting? Do any of the facts change your perspective on Saturday night’s fights? 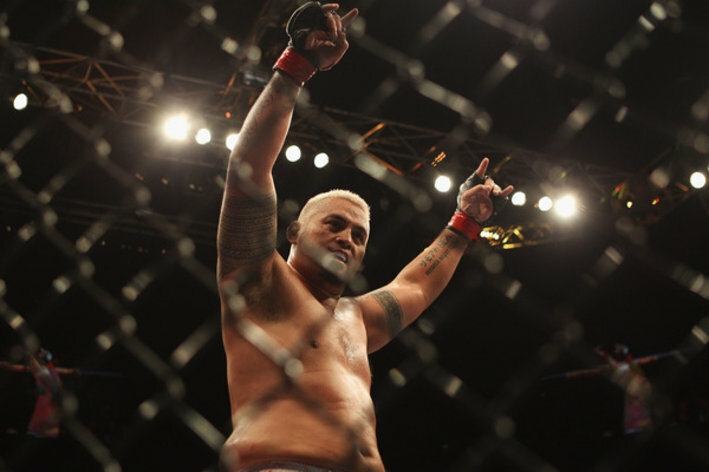 Mark Hunt‘s positivity throughout a trying process has paid off as “The Super Samoan” has received a work visa and will fly to Las Vegas immediately for his UFC 160 showdown with Junior dos Santos this Saturday (May 25, 2013). It came down to the absolute last minute, but it seems Ultimate Fighting Championship (UFC) heavyweight Mark Hunt has finally been granted a work visa and will fight Junior dos Santos at UFC 160 on Saturday night (May 25, 2013). On what was reportedly the final day for Hunt to get his visa and make his way to the United States, “The Super Samoan” has come through just six days before the event and will be able to compete in the biggest fight of his career against dos Santos. “Thank u for my visa father,” Hunt wrote on his official Twitter account Sunday (May 19, 2013) afternoon. Ariel Helwani of MMA Fighting was also able confirm with UFC officials that the former kickboxing champion is “likely” to fly out this evening. Hunt (9-7) was expected to arrive in the U.S. weeks ago but has been stuck in New Zealand after being denied clearance to travel overseas because of an arrest that stemmed back to 2002. Once UFC officials became aware of the situation they began working on finding a way to bring the 39-year-old to Las Vegas, Nevada for his fight at the MGM Grand Garden Arena, but as the event drew closer it seemed there was a good chance Hunt would not make it. 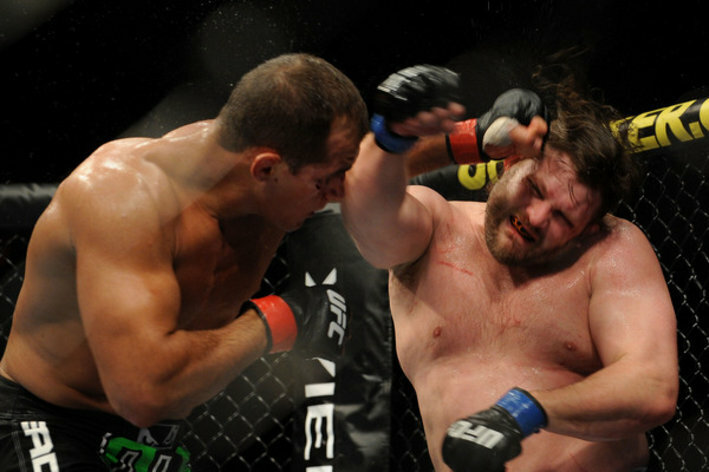 The UFC put a contingency plan in place by putting The Ultimate Fighter (TUF) season 10 winner Roy Nelson on stand-by to face dos Santos, and on Friday (May 16, 2013) “Big Country” was even licensed to compete at the event by the Nevada State Athletic Commission (NSAC). Fortunately, the worst case scenario has been avoided and despite only having just a few days to travel and get acclimated to the “Sin City” scenery, Hunt will indeed face off with “Cigano” at UFC 160. Despite being cautiously optimistic, Mart Hunt’s lingering visa issues may keep him out of UFC 160. If that’s the case, Roy Nelson has been asked to step in on short notice against Junior dos Santos. Even though Ultimate Fighting Championship (UFC) officials are confident Mark Hunt will fight Junior dos Santos at UFC 160 on May 25, 2013 (read more here) the world’s leading mixed martial arts (MMA) promotion is reportedly formulating a back up plan in case “Super Samoan” remains stranded in New Zealand. His name is Roy Nelson. Hunt has struggled to travel from his home country of New Zealand to Las Vegas, Nevada, which where UFC 160: “Velasquez vs. Bigfoot 2” takes place in less than two weeks, because of visa issues. And as of this afternoon (May 14, 2013) the hard-hitting Heavyweight still did not have a confirmed United States arrival time. Nelson (19-7) — who has apparently not yet provided an answer — last fought at UFC 159 last month, knocking out Cheick Kongo in the first-round for his third consecutive victory. There was odd interest in a fight between “Big Country” and Strikeforce Heavyweight Grand Prix champion Daniel Cormier later this year; however, Nelson would seemingly prefer to rematch dos Santos, who handed him a three-round beating at UFC 117 in Aug. 2010. It is unknown at this time how close to the event UFC officials are willing to wait to officially pull Hunt from the card, but if Nelson were to step in it would be his second fight in a 28-day span. UFC 160: “Velasquez vs. Bigfoot 2,” which will emanate from MGM Grand Garden Arena in “Sin City,” features a main event rematch between Heavyweight champion Cain Velasquez, putting his belt on the line against Antonio Silva. In the co-featured pay-per-view (PPV) fight of the night, Gray Maynard and T.J. Grant will battle for a shot at Benson Henderson’s Lightweight title. “The Super Samoan” will indeed be competing against Junior dos Santos at UFC 160 as Mark Hunt‘s recent visa woes date back to a 2002 arrest that is delaying, but ultimately not preventing his entry into the United States. Ultimate Fighting Championship (UFC) heavyweight contender Mark Hunt was indeed arrested as he posted on his official Twitter account today (May 9, 2013); however, the situation he spoke of went down well over a decade ago. “The Super Samoan” stated via Twitter that he was having difficulties obtaining a visa to travel from his home country of New Zealand to the United States due to an arrest just a few weeks ahead of his UFC 160 showdown with Junior dos Santos at the MGM Grand Garden Arena in Las Vegas, Nevada. The comments were worrisome, and from the wording of Hunt’s initial statement, it sounded as if he had recently been detained and his upcoming fight with “Cigano” was in jeopardy. Fortunately, the entire situation was a simple miscommunication and Hunt was actually referring to a 2002 arrest that raised some red flags for immigration officials and delayed the process of him receiving a visa to enter the U.S. According to Hunt’s comments, UFC officials are aware of his current conundrum and are actively working to assist the 39-year-old and resolve any problems that will further delay his travels. From all indications, the situation is not all that serious and Hunt vs. dos Santos at UFC 160 is seemingly not at any risk of falling through. Georges St. Pierre isn’t trying to become a rap star. Join me in a collective brow wipe. 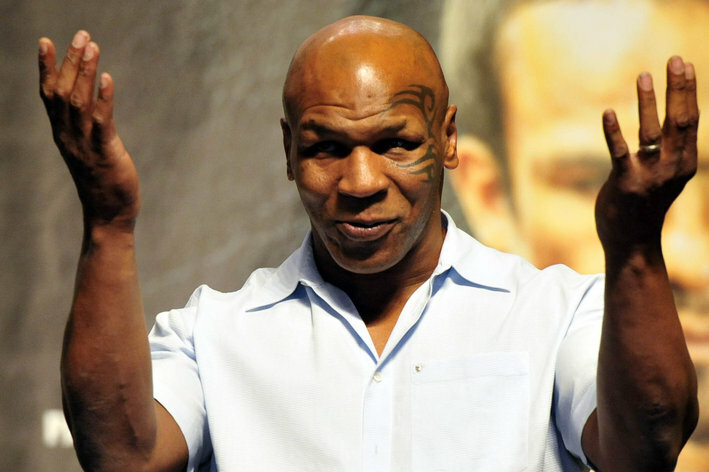 Turns out “Iron” Mike is a big fan of mixed martial arts (MMA). But unless you just started following the sport this morning, you probably already knew that. It’s not unusual to see the former heavyweight boxing champion milling around the set of The Ultimate Fighter (TUF), like he was for season 17 earlier this year. Personally, I was surprised he didn’t have words for coach Chael Sonnen, who described Tyson as a “protected” and “fake” champion back in the day (see his full critique here). Nevertheless, “Kid Dynamite” has been impressed with the “passion” of MMA and thinks Boxing could pick up a few pointers. Despite his high praise, Tyson still believes UFC fighters aren’t getting paid what they deserve. Boxing will once again be the talk of the town this weekend when Floyd Mayweather puts his undefeated record on the line against Robert Guerrero this Saturday night (May 4, 2013) at the “May Day” pay-per-view (PPV) event from the MGM Grand Garden Arena in Las Vegas, Nevada (preview here). See the first poster for the upcoming UFC 162 pay-per-view (PPV) event on July 6, 2013, in Las Vegas, Nevada, which features a 185-pound title fight between division champion Anderson Silva and No. 1 contender Chris Weidman. Ultimate Fighting Championship (UFC) today unveiled its first look at the poster for its upcoming Fourth of July Weekend pay-per-view (PPV) extravaganza, which takes place at the MGM Grand Garden Arena in Las Vegas, Nevada, on July 6, 2013. Get ready for a title change, according to this guy. 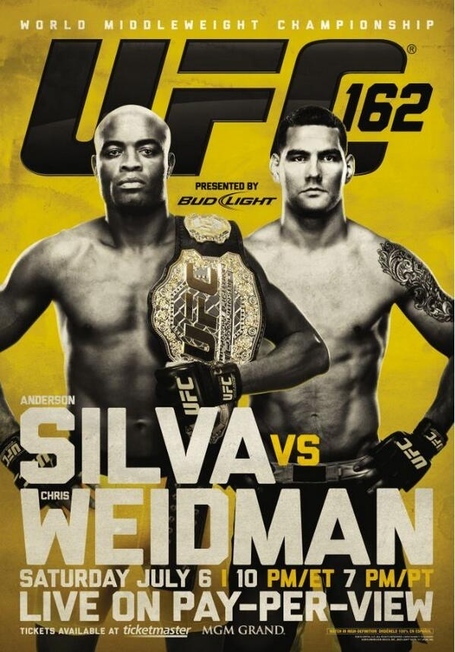 UFC 162: “Silva vs. Weidman” is headlined by a middleweight championship contest as top-ranked pound-for-pound fighter and longtime 185-pound kingpin Anderson Silva puts his title on the line against undefeated mat rat Chris Weidman. Former UFC Lightweight Champion Frankie Edgar tries to get back into the win column at the expense of jiu-jitsu wunderkind Charles Oliveira, while Chan Sung Jung battles Ricardo Lamas for the right to challenge for the promotion’s 145-pound title.